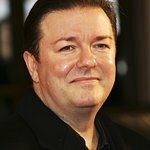 An avid supporter of animal rights, particularly against cruelty to animals, comedian Ricky Gervais recently criticized the sport of bullfighting. In response, he was called a hypocrite by a food critic because Gervais is a meat eater. He likens it to throngs of non-vegans visiting abattoirs and cheering as animals are slaughtered. “Would that be a sport?” he asks. Gervais finds fox hunting equally baffling – that foxes need to be culled is a silly excuse for the tradition of people on horses setting out to enjoy it.